If you're interested in the chemical and physical properties of food during production and storage, then a food science degree can open up a range of related careers. 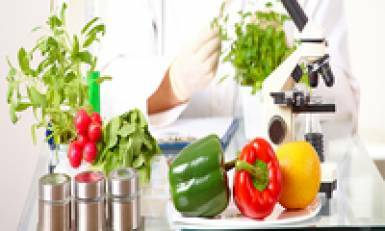 Food sciences focus on the study of food, with an emphasis on creating reliable, sustainable, and safe food sources. Understanding food sciences may lead to important discoveries in food technology as well as the production and maintenance of a healthy food supply. Food science is simply the study, production and distribution of food. Improvement, preservation, packaging and distribution of food is the focus of a food scientist. Of late, people have become acutely conscious about content and quality plus nutritional values of food, giving a much needed boost to this field. All aspects of food will be taught as well as soil, plants and biotechnology and ecology and the environment, blending theory and practical. In the past, the food technology was adopted and discovered for just preserving and adding the flavour and colour into the food stuff. As deep as we are going into the dimensions of food technology, we require the experts and professionals in this field. The subject comprises of both science and engineering. Many academies and colleges in Europe offer variety of courses in the field of food technology. This master’s program in food science and safety is designed to prepare food science specialists both for food industry and the companies performing research of food products and development of new products. The food science program provides a lot of skills of research work, preparing students for doctoral studies. Guest speakers from Chung Shan Medical, North Dakota and Graz universities will enhance the curriculum of the program. The food industry needs specialists who are able to formulate the tasks of development of food products and quality control, and find their practical solutions, based on the latest achievements in food technology and food science. It requires food technologies and knowledge of biotechnologies. The course aims are targeting on preparing competent employees for sectors including sustainable food production, processing and agribusiness, in industry, academia and government. Well honestly, who doesn’t have an interest in food, but you may be the one person who reads the ingredients label and understands what each word actually means! What better way to cook up an impact on your studies than learning abroad in top food science programs, complete with different food, sightseeing’s, people, and culture. What exactly makes food nourishment for the body? Get the scoop by earning a degree at international colleges with food science majors from Europe.